around the stage in ways that are eye-catching, inclusive and unique…"
"Caniparoli excels at making highly technical ballet steps fit organically into a contemporary context and "Swipe" demands développés extended to dizzying height, allegro footwork, inchworm floor crawls and full-out sprints from its cast of four men and three women. 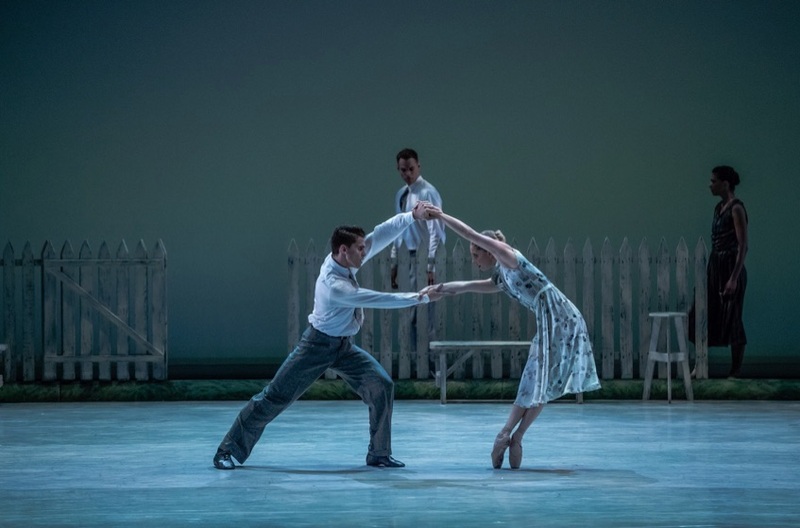 “In a stroke of genius, Val Caniparoli has built a reverberating surprise into The Lottery, his new Ballet at Ballet West. Molly Wagner & Humberto Rivera Blanco in Val Caniparoli's "The Lottery" based on Shirley Jackson's short story The Lottery. Kansas City Ballet. Photo: Brett Pruitt & East Market Studios. Costume and scenic design by Sandra Woodall.